The iPad is an incredible piece of hardware out of the box.Since its release, peripheral manufacturers have found clever ways to make it even more useful with an impressive variety of accessories. We’ve shopped around for the best accessories that will help you protect your tablet, turn it into a multimedia centre, and extend battery life. 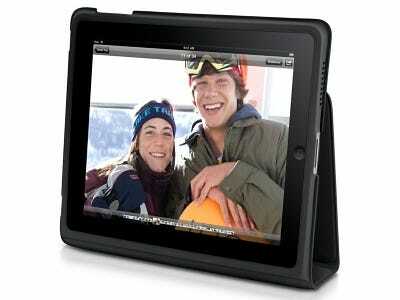 Apple's official iPad case is slightly overpriced, but extremely versatile. 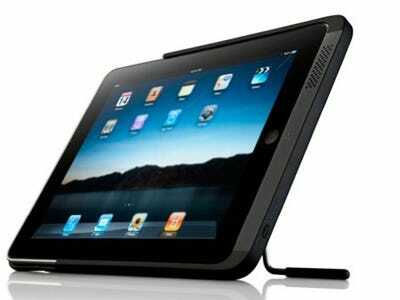 You can use it as a simple cover, or fold the flap back to make a decent stand for your tablet. You have two options when selecting a screen protector: an anti-glare or 'crystal' film. 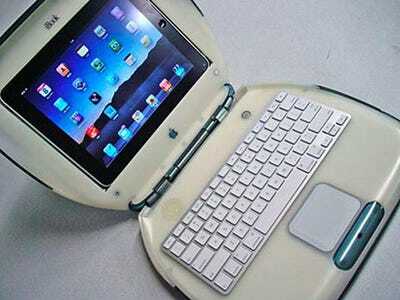 The latter is designed to protect your screen while looking and feeling as if you had nothing on your iPad at all. Price: Most screen protectors come in packs of two or three for around $15. There's a large variety of iPad stands floating around out there. If you find yourself using your iPad as a secondary computer at your desk, we suggest finding a stand that will accommodate it horizontally and vertically. Apple's Keyboard Dock is a great option. 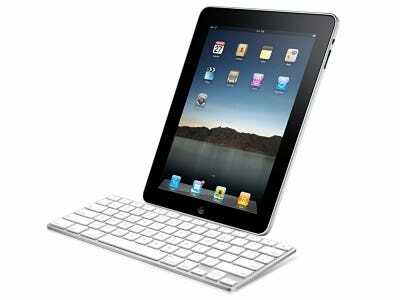 It includes a dock that props your iPad vertically and an integrated keyboard for typing long emails or documents. The iPad's built in speaker is pretty dinky. A speaker dock will take care of that. 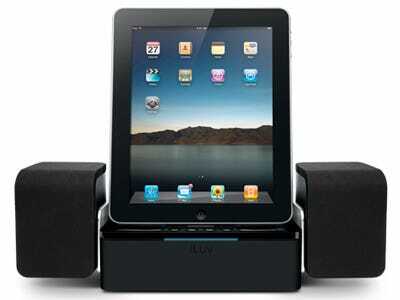 Use it to watch movies or listen to music streamed and stored on your iPad. Check out the iLuv system. It works with iPad, iPod, and iPhone, and got a great review from Engadget. The iPad's keyboard is fine if you're only typing quick emails or URLs, but if you plan on writing more than that, you should invest in a keyboard. 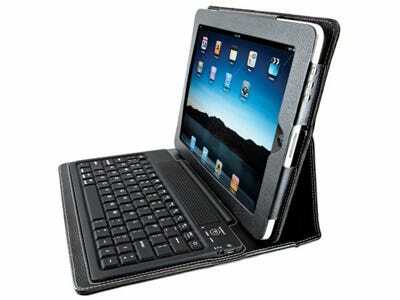 Kensington's KeyFolio is a nifty iPad case/stand/keyboard combo that will make typing easy anywhere you go. The iPad already has excellent battery life, but if you find yourself away from an outlet for too long, try bringing along a battery booster. Many boosters that are compatible with iPhone or iPod Touch will work with the iPad, but you can also try one like Kensington's case/battery combo. The company boasts it will give you an additional five hours of battery life, for a whopping ~15 hours total when using wifi only. 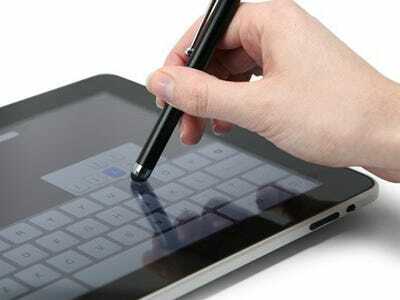 An iPad stylus is the perfect tool for artists using one of the popular drawing apps or handwriting apps. 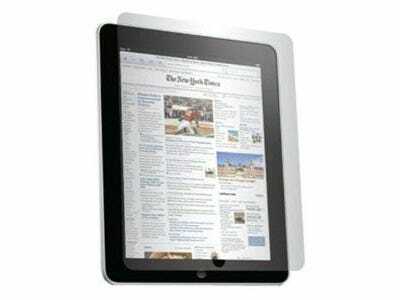 It's also great for neat freaks who want to keep their iPad's screen smudge free. 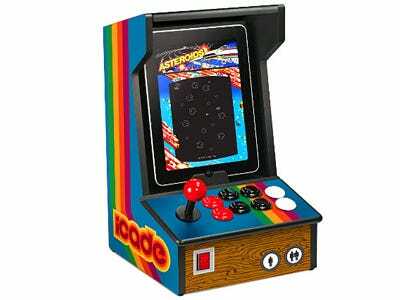 Think Geek Teamed up with Atari to create this Bluetooth arcade system for iPad. Just slide your iPad in and launch one of the apps developed by Atari for this cool peripheral.